Welcome to the B’Inspired Loyalty Reward Program! In recognition of all our wonderful and loyal clients, we created a system that rewards you for every service dollar spent! 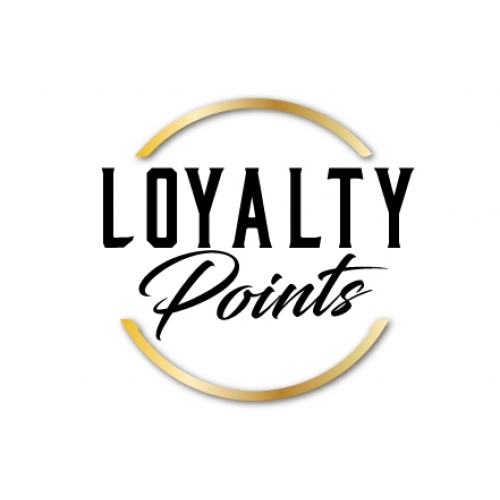 How Does The Loyalty Reward Program Work? Starting in April, each dollar spent on services equals one Loyalty Point. Since cards are easy to misplace or lose, Loyalty Points are tallied in our Vagaro booking system. We’ll notify you either in person or by text when you reach a milestone. It is up to you whether you want to use the points during your next appointment or let them accrue until the next milestone is reached. If you refer another client who books an appointment with us, you automatically receive 50 points for doing so. 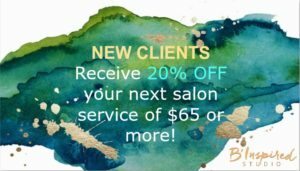 Please ask the new client to let us know who referred them so we can give you credit! At the end of your scheduled appointment, an extra 5 points given for pre-booking your next appointment. Appointments must be kept (or rescheduled) to receive credit. We’re also giving 5 points to any client who is inspired to leave us a positive review on Yelp or Facebook. Please let us know where you gave the review so we can issue your points! Occasionally, we may run point specials which we will promote on our Facebook page so be sure to follow us here. Redeemed points can be used towards your next service. This is noted in our Vagaro booking system at the end of the current sales transaction after you have already settled for that day’s transaction. When redeeming points between benchmarks, any remaining points over and above the benchmark will not be rolled over. Please note that points can only be redeemed for services or gift certificates. They cannot be used for products, retail items or gratuity.